Bringing home a new member of the family is always a fun and exciting time. Many families already have a name picked out for their new dog when it arrives but some prefer to wait to see what characteristics the dog has before picking that perfect name. There are a number of ways to pick the perfect name for a dog, picking favorite literary characters, picking more predictable dog names and naming the dog after certain characteristics. For some dogs and dog owners only the cute names appeal and there are certainly plenty of these to choose from. 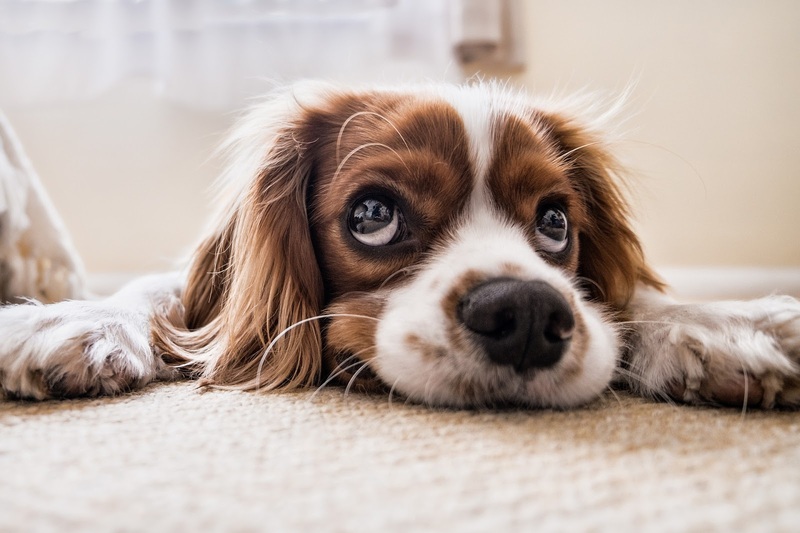 Cute dog names can originate from a wide variety of places and depending upon the dog’s origin you may find that the originating country has as much to do with selecting a name as the meaning of the name itself! Names are used during introductions, and they color what others think of our dog. A dog named Killer, will invite a very different type of reaction, than a dog named SweetiePie. Therefore, take your time in naming your dog. Observe his energy level, most loved activities, and wait until his true personality comes through. When it does, you will know what is the right name for him. 1.Stick with shorter names. Dogs have an easier time recognizing names that are either one or two syllables long, compared to names that are more complex. Instead of naming your dog something like Sir Merlin of Mangovia, you should shorten the name to Merlin, or Mango. If you do want to give your pup a longer, more formal name, know that you will ultimately end up shortening it no matter what (it will just be easier to call for him to come that way) so go with a name that shortens into something cute. 2.Try out names sharp consonants. Dogs hear high frequency sounds very well, so names starting with s, sh, ch, k, etc. work well when catching a dog's attention. Dogs will respond more quickly to these relatively sharp sounds. At the same time, consider names that end with a vowel, particularly a short ‘a’ or a long ‘e’ sound. Some example names that follow these rules include Simba, Chico, Kassie, Sweetie, Delilah, etc. 3. Do not pick a name that sounds similar to a command. Because dogs do not particularly recognize the actual word, but instead understand the frequency of the word, they can get confused by words that sound too similar--particularly when one of those words is a command that they are suppose to follow. For example, the name "Kit" can easily be confused with the command "sit". The name “Bo” could be confused with “no”. 4. Stick with similar sounds if you are renaming an older dog. Be careful when changing an older dog's name. Stick with similar sounds, such as changing "Barney" to "Farley." It's more important to keep the vowel sounds the same than the consonants, since vowels are easier for the dog to pick up on and what the dog is actually listening for. So "Pinky" will accept "Mikey" but not "Porky." 5. Remember that you’ll be using your dog’s name in public. 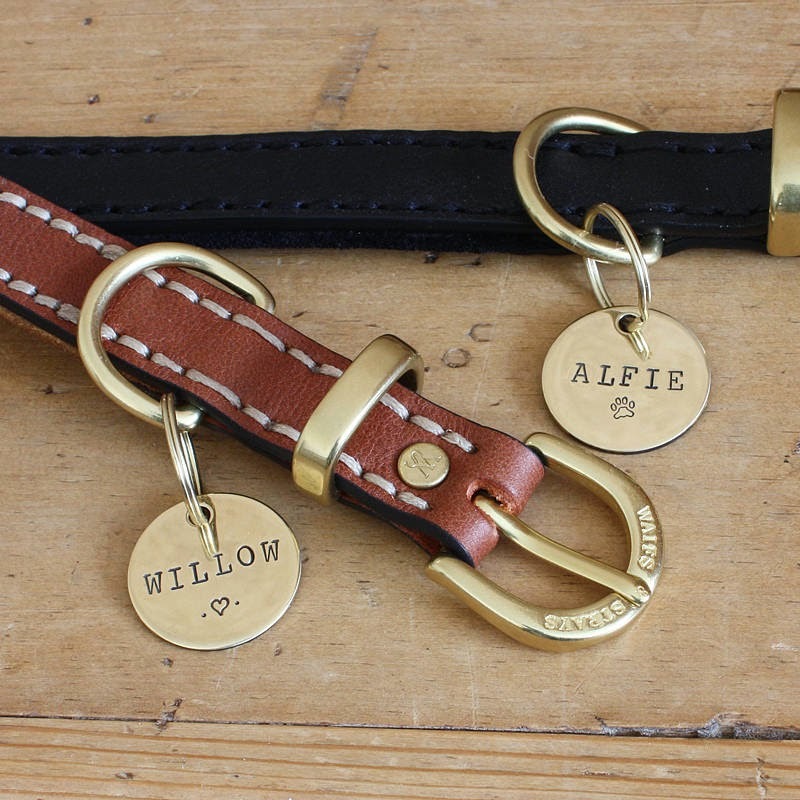 Some names have a family meaning, but it may not go over well at the vet or dog park. Also, choosing a name that's too common will mean your dog might run to someone else (or you might get someone elses dog jumping on you). Names like “Fido” or “Rover” should probably be avoided, as they are some of the more traditional, and therefore more popular, dog names. You should also consider the sort of reaction that the name you give your dog might inspire. For instance, people will probably be a little more wary of a dog named “Murder” than a dog named “Honey”. 6. Ask before using a family member or friend's name. You may think it’s an honor to name your pup after your favorite Aunt Matilda, but she may not take it as a compliment. She might think of it as disrespect. 7.Try the name out for a couple of days before you make it permanent. Once you’ve chosen a new name, try it out for a day or so. See if it grows on you. You’ll know really soon whether it’s a keeper or not. If not, try something else. There are always many more puppy names to explore and try out. Don't forget to reward your puppy or dog when they respond to their new name. The more treats, love and hugs they receive now, the sooner they'll come running when you call later. Pay attention to how it feels to say your pup’s potential name. Could you see yourself using that name over and over again? If your answer is no, you may want to consider choosing a different name. 8. Explore many names. If you are really struggling on what you should name your dog, and need a little help being creative, you can always run an internet search for a list of cool dog names. There are quite a few websites that specialize in this topic and may help you to get your creative juices flowing. Where Do the Best Dog Names Come From? Fictional characters – We can find some great names from our favorite movies, books, or games. Pick the best fictional hero or villain, depending on the personality and/or look of our dog. Famous people – Another interesting set of names are from famous and inspirational people, or historical figures. We can pick rulers such as Alexander the Great, Charlemagne, or Napoleon Bonaparte. We can pick innovators such as Edison or daVinci. We can pick poets, writers, musicians, movie stars, or sports heroes. Country of dog breed – Different dog breeds emerge from different locations. We can select a favorite name or word from our dog’s country of origin. Stars and heavenly bodies – Finally, a great source of dog names come from stars and other heavenly bodies. For example, if our dog loves to hunt, we may name him Rigel, which is the brightest star in The Hunter constellation. To help you on your way, here are the most popular 5 male and female dog names. There are a variety of lists, but these names appear at the top of almost all of them. Most popular male dog names - Max, Buddy,Jake, Charlie, Bailey. Most popular female dog names - Bella, Daisy, Molly, Lucy ,Maggie. One of the best advices to take when naming your dog is to adopt a wait-and-see attitude. Getting to know your puppy for a few days will let you see a part of his personality or behavior that you will not see while the puppy was still in the kennel or on the day you brought him home.